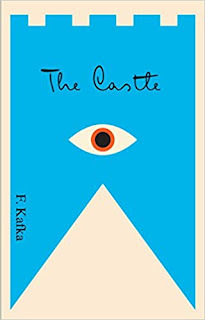 Bureaucracy creates its own architecture which Kafka famously memorialized in novels like The Trial and especially The Castle. Russia has always been famous for its labyrinthine bureaucracies which often overlapped with the notion of the Gulag a la Solzhenitsyn and before him Gogol whose Overcoat raises the notion of the nameless individual (in the form of Akaky Akakievich, the feckless civil servant) to an almost religious level. Vittorio De Sica took on a similar theme in Bicycle Thieves which dramatized the plight of a pair of lost souls, a father and son in post-war Rome. The IRS is a famous internecine bureaucracy as is New York's DMV, but Social Security is more benign in that you actually interface with individuals who are trying to help when you're claiming benefits or doing something simple like get a card. The experience of going to the Social Security office in Manhattan which is located on William Street in the financial district something akin to waiting on line for a teller in a bank, therapy with a little bit of confession thrown in.You’re just another number, but once you get up to the glass partition through which you engage an agent, you find real people with a host of different personalities and ethnic backgrounds.The variety of the melting pot is proudly on display. You're checked in by someone of Indian or Pakistani descent and find yourself conversing about your lost card with another agent who has a Czech accent. Finally, you may find yourself discussing benefits with someone else, who like a shrink, is trying to wake you up to reality. Remember the character played by Robin Williams in Good Will Hunting?